The entire city of Hebron was placed under a general closure, on Friday, while transfers of tax collected by Israel on behalf of the Palestinians were also cut, following a series of deadly incidents that left three Palestinians and two Israelis killed in two days. An Israeli army spokesperson told Ma’an News Agency that all crossing and passage out of the southern occupied West Bank city and its surrounding villages would be closed indefinitely, with the exception of military and humanitarian cases. She added that the closures were being implemented to “help foil and prevent future terrorist attacks.” It is said to be the greatest closure placed inside the occupied West Bank since 2014, when three Israeli teenagers were kidnapped and then killed. Israeli army spokesperson Peter Lerner was quoted by media as confirming the closure would only affect the tens of thousands of Palestinians Hebron, the occupied West Bank’s most populous city, and not Israelis residing in the illegal settlements in the area. The closure came amid a massive manhunt for the suspect responsible for a shooting attack, earlier Friday, that left an Israeli man dead, his wife critically injured, and his two children lightly-to-moderately injured while driving in their car near the Otniel settlement south of Hebron where the family was from. The Israeli Prime Minister’s office, on Friday, also ordered that the money being transferred by the Palestinian Authority to “terrorists and their families” would be deducted immediately from monthly tax revenues, referring to money paid by the PA to former Palestinian prisoners and families of prisoners in Israeli custody. Israel will reportedly reduce tax transfers sent to the PA each month by $130 million, a figure said to equal to stipends the PA pays Palestinian “militant” prisoners and their families, and the families of slain Palestinians. “Israel believes that the authority’s support of terror, both in terms of incitement and in payments to terrorists and their families, are an inducement to terror,” a spokesperson for the Israeli prime minister’s office said in a statement. The general closure of Hebron came as an upgrade to the closure of the village of Beni Naim on Thursday, following a stab attack that was carried out by a village resident in the illegal settlement of Kiryat Arba in the Hebron area, that left a 13-year-old Israeli girl killed in her bedroom. The attacker was also shot dead. Initial reports from Israeli media alleged that the attacker in Friday’s shooting incident, who was still at large at time of writing, was also from Beni Naim. However an Israeli army spokesperson denied the reports. Meanwhile, in Hebron’s Old City at a checkpoint near the Ibrahimi Mosque, a Palestinian woman confirmed to be from Beni Naim was shot dead by Israeli forces for allegedly attempting to commit a stab attack against Israeli soldiers stationed there. Shortly after, a Palestinian girl was detained at the same checkpoint for allegedly having a knife on her person. Israel’s Education Minister Naftali Bennett, head of the far-right Jewish Home party, told Haaretz that he had asked Israeli Prime Minister Benjamin Netanyahu to immediately convene the security cabinet following the attack in Kiryat Arba. A meeting is expected to be held on Saturday. 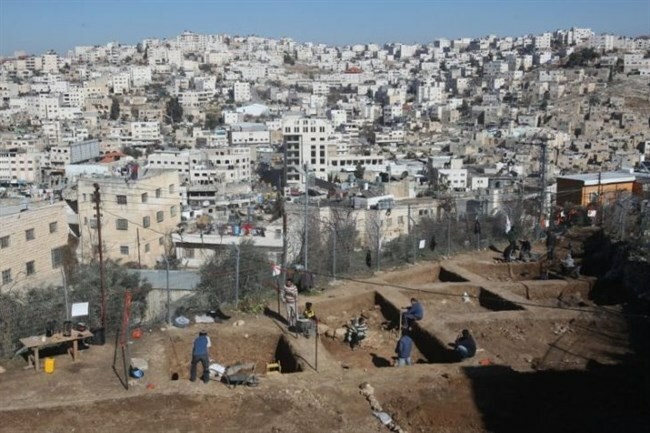 The minister also told Haaretz he will propose that the mother and sister of the Palestinian who carried out the Kiryat Arba attack be arrested and that Israeli authorities carry out all approved demolition orders against Palestinian structures for not having the required permits. More than 220 Palestinians have been killed by Israelis and some 31 Israelis killed by Palestinians since a wave of unrest first swept across the occupied Palestinian territories and Israel in October. The Hebron area, in particular, grew as the epicenter of upheaval, with Israeli authorities declaring its Old City a “closed military zone” in November amid dozens of incidents where more than 40 Palestinians were killed. While the closed military zone status was lifted mid-May following a period of relative calm, severe restrictions on movement for Palestinians in Hebron remain, particularly in the area designated as H2 — under full Israeli military control — that encompasses the Ibrahimi Mosque and much of the Old City. Israel’s response to attacks — such as punitive home demolitions, sealing entire villages, mass detention campaigns, and withholding the bodies of Palestinians slain while committing attacks — have been condemned by rights groups, who have the measures amount to “collective punishment” and represent a clear violation of international law. The 1st July 2016, the last Friday in Ramadan, marked the fifth anniversary of Kafr Qadoum’s demonstrations. The Israeli military were present in the village and firing rubber-coated steel bullets prior to the start of the demonstration. The soldiers continued to use full force against protestors, using high-velocity barricade penetrating tear gas grenades and live ammunition. Two young men were injured with live ammunition. One 15-year-old boy took a .22 caliber bullet to the stomach. He entered surgery in Nablus at approximately 3 PM to remove the bullet. In addition, a 19-year-old was hit in the lower leg. The injury is not serious, but still a cause for concern: the young man in question had been released from jail less than a month ago, after he was arrested for his participation in the weekly protests. The soldiers continued to use full force against protestors, using high velocity barricade penetrating tear gas grenades, and live ammunition. Two young men were injured with live ammunition. One 15-year-old boy took a .22 caliber bullet to the stomach. 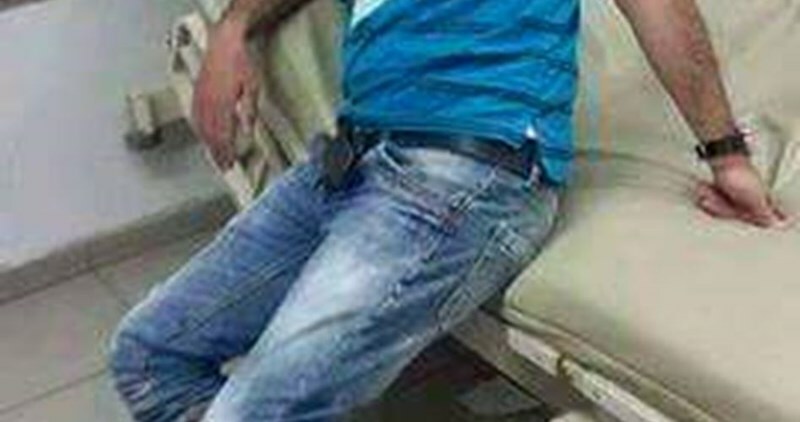 He entered surgery in Nablus at approximately 3 PM to remove the bullet. In addition, a 19-year-old was hit in the lower leg. The injury is not serious, but still a cause for concern: the young man in question had been released from jail less than a month ago, after he was arrested for his participation in the weekly protests. Every week the villagers, accompanied by international and Israeli activists, have marched down the road that once connected the village to Nablus. The road was shut down due to expansions in the nearby illegal settlement of Kedumim, and is now accessible only to settlers. 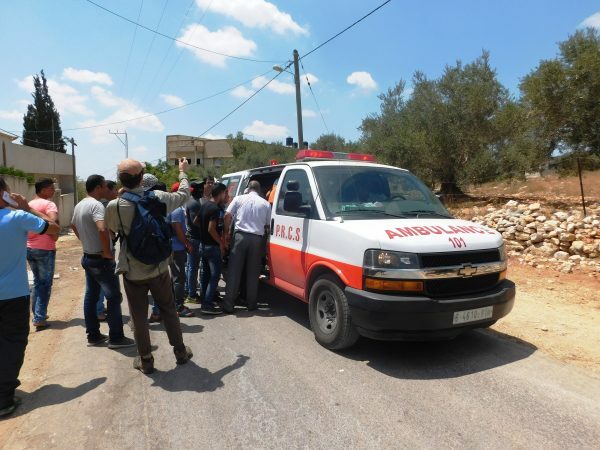 The road closure has been an economic burden for Kafr Qadoum, and well as a public health and safety issue, as ambulances and fire trucks face restricted access to the village. Murad Shtawi, the head of the Popular Resistance Committee in Kafr Qaddom, says that the village does its best to keep the demonstrations nonviolent – shebab will throw stones at the soldiers, but only if they are attacked first, or the soldiers enter the town limits. Today’s protest followed a familiar pattern, soldiers entered the village prior to the protest, armed with tear gas, stun grenades, rubber coated steel bullets, and live ammunition. While most of the village took part in the midday Dhuhr prayer, a few shebab monitored the soldiers, risking injury from rubber coated steel bullets. After the prayer, approximately one hundred protestors marched up the road, but were repelled before even reaching the end of the village by more rubber coated metal bullets, and interior barricade penetrating tear gas. When the protest regrouped, undeterred, the military opened fire with .22 calibre ammunition. The military also employed a bulldozer during the protests, in an attempt to block off the road at the entrance to the village. The bulldozer struck the main water pipe to Kafr Qadoum, flooding the street, and ensuring it would be a dry day for many families. Kafr Qadoum has paid a high price for its protests. According to Murad Shtawi, there have been up to 84 injuries from live ammunition. In 2014, a 75-year-old man in the village died from tear gas suffocation, and countless others have passed out from inhalation. There have been over 200 injuries from rubber coated metal bullets, including one young man who lost an eye, and another who can no longer speak due to brain damage. 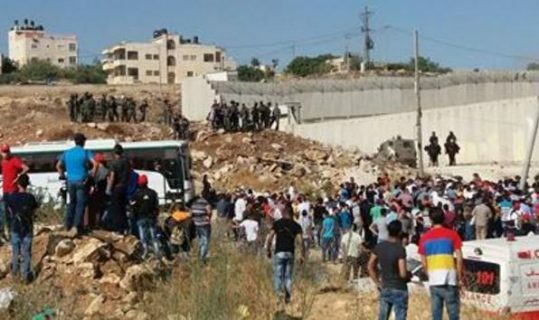 120 villagers have been arrested, and their families have paid a collective 250,000 NIS in fines. Today was the 7th time the water pipe has been damaged. Still, the villagers remain optimistic that their protest will be effective someday, in opening the road, and pushing out the settlers of Kedumim. They’ve held 330 marches and actions against the settlement and road closure in the past five years, and will keep going, as long as it takes. Palestinian medical sources have reported, Friday, that at least ten Palestinians suffered mild injuries, and some suffered the effects of tear gas inhalation, during clashes with Israeli soldiers manning the Qalandia terminal, north of occupied Jerusalem. 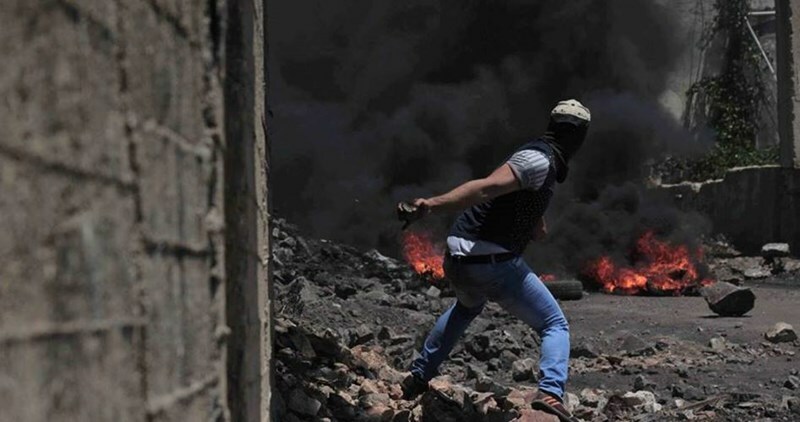 The clashes took place following extended delays and searches on the roadblock, in addition to various provocative military acts against many Palestinians trying to cross. The wounded Palestinians were moved to a number of hospitals in Ramallah, in the central West Bank. The Palestinians, who were waiting at the roadblock for extended periods, and subjected to provocations by the soldiers, are from different areas of the central and northern parts of the West Bank. They obtained permits to enter Jerusalem to pray in the Al-Aqsa Mosque, on the last Friday of the holy Muslim month of Ramadan. On Friday morning, the soldiers kidnapped a young man, identified as Mohammad Samir Abu Zeina, 20, after stopping him on a sudden roadblock near the al-Ram town and the Qalandia refugee camp, while he was on his way to the Al-Aqsa Mosque. The man suffocated after the soldiers fired dozens of gas bombs on Palestinians who gathered near the terminal while trying to cross into Jerusalem, to perform prayers in Al-Aqsa Mosque, on the last Friday of the holy Muslim month of Ramadan. 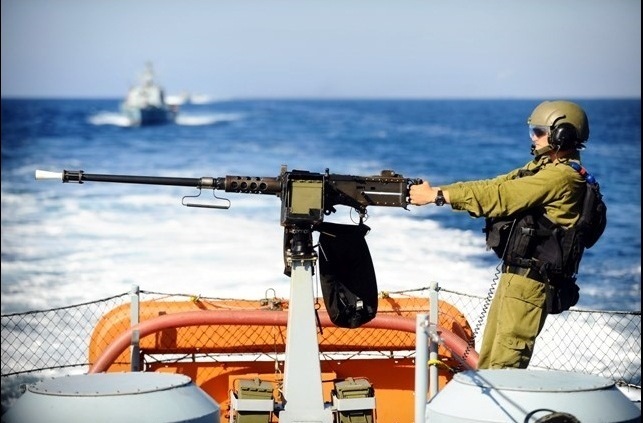 Israeli navy ships opened fire, on Friday morning, on a number of Palestinian fishing boats near the shore of Gaza city and the Central District, causing damage and forcing the fishers back to shore. 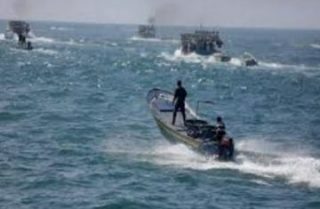 The fishers said the soldiers fired many live rounds at their boats as they were trying to fish, in Gaza territorial waters, causing damage but no injuries. 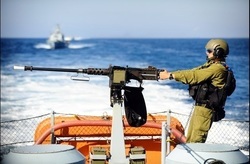 Several navy ships also chased some of the boats back to the shore in Central Gaza, while firing at them. The Israeli navy conducts daily assaults and violations against Palestinian fishers in Gaza territorial waters, leading to dozens of casualties, including fatalities, and repeatedly abducts fishers in addition to the illegal confiscation of their boats. 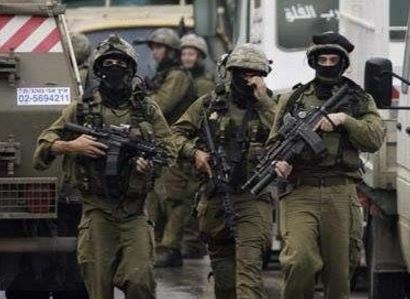 The Palestinian Prisoners Society (PPS) has reported that Israeli soldiers have kidnapped, on Friday at dawn, at least eight Palestinians, including former political prisoners and political analysts, in the southern West Bank city of Hebron, and Bani Neim nearby town. 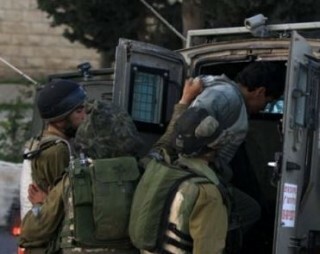 On Thursday evening, the soldiers kidnapped two Palestinians in Nablus. In Hebron city, the soldiers kidnapped two political analysts, identified as Hisham Hmeidan Sharabati and Dr. Firas al-Qawasmi, in addition to a young man, identified as Samer al-Jo’ba, after storming their homes and searching them, causing property damage. The soldiers also kidnapped a former political prisoner, identified as Mos’ab Zghayyar, as he was heading to Al-Aqsa Mosque for Friday prayers, and later invaded his family’s home, searched it, and confiscated his laptop. In Bani Neim town, east of Hebron, the soldiers invaded and ransacked dozens of homes, including the homes of Mohammad Tarayra, 17, who was killed after he stabbed and killed a 13-year-old Israeli child in Keryat Arba’ colony, earlier on Thursday, before he was shot dead, and Majd Abdullah al-Khdour, 19, who was killed by the army on Friday June 25th, and interrogated their families. The soldiers also kidnapped a number of Palestinians, after searching their homes, in the town. Four of them have been identified as Waleed Lafi Hmeidat, Malek Harbi Hmeidat, Odai Khaled Hmeidat and Nidal Mazin Ballout. Medical sources said several Palestinians suffered the effects of tear gas inhalation after the soldiers fired many gas bombs, and concussion grenades, in a number of neighborhoods, after a number of local youngsters hurled stones at the invading military vehicles. In addition, several army vehicles invaded Awarta town, east of the northern part West Bank city of Nablus, before breaking into the home of a student of the Najah University Nadi Sharab, and violently searching it. The Palestinian was kidnapped on Thursday evening on a military roadblock east of Jaba’ town, northeast of Jerusalem. On Thursday evening, the soldiers kidnapped Mohammad As’ad Baddad, 42, after stopping him at the Za’tara military roadblock, south of Nablus. Baddad is a Palestinian Civil Defense employee and was returning home from Ramallah. A Palestinian girl child suffered a bullet injury after midnight on Thursday when Israeli police forces stormed, amid intensive gunfire, a neighborhood in Silwan district, south of the Aqsa Mosque. A local source reported that police troops closed Ein Loza area in Silwan, obstructed the movement of vehicles and randomly fired several shots, pointing out that a little girl suffered a rubber bullet injury during the police raid, without providing further details. The source added that the troops fired stun grenades and flares during their campaign in the area. In another incident, police forces stormed at an early hour today al-Issawiya neighborhood in Jerusalem and raided homes, with no reported arrests. Policemen also entered Shuafat neighborhood in east Jerusalem at the pretext of looking for young men suspected of throwing stones at the light rail train. 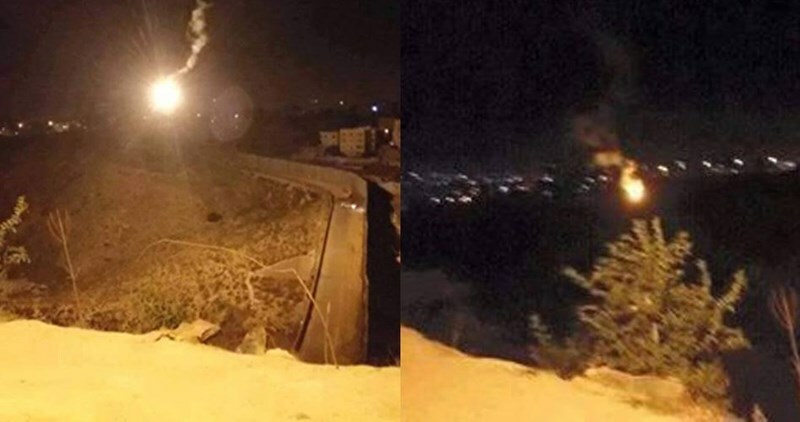 Meanwhile, police forces launched an overnight campaign, with no known reason, in al-Ram town, northeast of Jerusalem, and fired flares. Israeli soldiers, stationed across the border fence, fired several live rounds, on Thursday morning, on Palestinian farmers and their lands, in central Gaza and in the southern part of the coastal region. 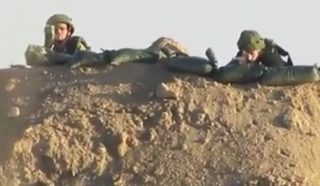 The WAFA Palestinian News Agency has reported that the soldiers, stationed on military towers southeast of Deir al-Balah city, in central Gaza, fired dozens of live rounds into Palestinian farmlands, as the residents were trying to enter them, forcing them to leave in fear of further escalation. WAFA added that the soldiers, stationed on military towers across the border fence east of the al-Qarara town, northeast of Khan Younis, in the southern part of the coastal regions, also fired dozens of live rounds into Palestinian lands. In addition, Palestinian areas across the border fence in Gaza witnessed an increase in Israeli military activities, including extensive deployment across the border fence, and the firing of smoke bombs while army drones flew overhead. The soldiers conduct daily violations against the Palestinian farmers who are trying to enter and work on their lands in border areas, in the northern and eastern parts of the Gaza Strip, in addition to the constant attacks targeting Gaza fishers in Palestinian territorial waters. 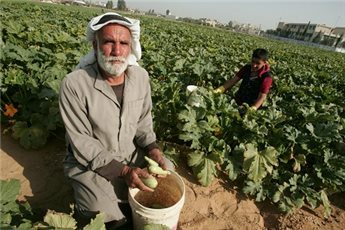 Israeli forces, Tuesday, reportedly opened fire at Palestinian farmers in the eastern part of al-Qarrara, in the southern Gaza Strip. Witnesses said Israeli forces deployed at the eastern borders of al-Qarrara opened “heavy” fire at farmers in the area. An Israeli army spokesperson said she was “looking into reports”. On a near-daily basis, the Israeli army fires “warning shots” at Palestinian fishermen, farmers, and shepherds entering the Israeli-enforced “buffer zone” on land and sea, implemented after Israel imposed a blockade on the region a decade ago. While Israel typically cites security concerns when targeting Palestinian agricultural areas, the Palestinian Center for Human Rights (PCHR) has reported, in the past, that fishermen were often targeted when they posed no threat. Israeli Occupation Forces (IOF) stormed Ateel town in Tulkarem leading to clashes with Palestinians at the town's entrance. Local sources told the PIC reporter that the IOF soldiers in five military patrols were stationed at the entrance to the town as well as on the main road leading to Tulkarem city. They erected a makeshift barrier and abused the inhabitants. The Palestinian youths confronted the IOF soldiers by stone throwing. Meanwhile, Israeli forces unleashed tear gas and stun grenades at the Palestinian protesters, the sources added.